Hardwood flooring has been around for hundreds of years, mainly because of its style and performance. Hardwood flooring has a reputation to uphold, to look always look naturally beautiful, and to add luxurious value to a home. Hardwood flooring is a large investment for a home, so you want to make sure you not only choose the right kind of hardwood floor, but that you also take into account if hardwood is right for your home. Just like any other flooring, hardwood comes in a variety of options. Choose from different species, finishes, and compositions that best suit you and your lifestyle. Oak, maple, and hickory are among the most popular species in hardwood flooring for their durability and naturally beautiful color. You have the ability to choose from finished and unfinished hardwood floors, which means you can either have the installer apply a finish in your home or purchase the floor pre-finished. Another important choice is if you want solid or engineered hardwood. Did you know that there are a variety of hardwood styles from which you can choose? There is modern and traditional hardwood flooring, as well as rustic hardwood flooring options that emphasize wood's natural character. The different styles of hardwood are characterized by features such as plank length and width, wood grains, color, shine, and even texture. In addition to style, there are different types of wood flooring available. The different hardwood options include maple, cherry, oak, and birch, among others. Each wood option offers unique shades and character, and they also feature different strength levels and wear resistance. For unique looks, be sure to consider wood flooring types like bamboo and cork. Bamboo has a light hue and sophitisicated patterns of dark markings, while cork has a natural, rustic look. Visit our wood flooring page to learn more. Solid hardwood is, just as its name describes, one solid piece of wood from top to bottom. Thickness typically varies, but on average you can choose from ¾” or 5/16”. Solid hardwood preforms best when installed above or on grade, and can even be sanded and refinished multiple times during its lifetime. Engineered hardwood floors are made of multiple real wood veneers whose grains run in different directions in order to increase stability. This allows the floors to resist expanding and contracting during weather changes. One drawback is that these floors can only be refinished once or twice. They best perform installed in above, on and below grade so you can enjoy them on every level of your home! Learn more about solid and engineered hardwood. Learn more about hardwood installation to see exactly where hardwood can fit in your home. At Post Road Carpet One Floor & Home, we offer only the best hardwood brands in the industry. And, we offer premium services such as hardwood installation. We have styles of solid and hardwood flooring, so be sure to visit us in Acton to shop our selection. Since we're part of Carpet One, we have exclusive brands such as Rustic River, Invincible Hardwood, and Voyager. Hardwood flooring offers style and performance advantages, so it continues to be a popular choice in homes. No other flooring type can add value to your home like hardwood. What Are the Types of Wood Flooring? Hardwood installation is a difficult process, but our experts are here to help. We'll install any hardwood floor we sell, and we'll make sure you're satisfied with the end result. We're Proud To Be Your Local Experts in Acton! Post Road Carpet One Floor & Home in Acton was founded in 1976. From its modest beginnings it has become the largest supplier of floor covering stores in New England. We serve residential homeowners, commercial clients, and industrial builders with the experience and knowledge that our trusted personnel provide. The care you receive stems from our philosophy of offering you the finest quality floor coverings at the lowest prices backed with our professional expert services. Our experience knowledge has accounted for our success and why we are one of the best known, most trusted flooring suppliers in the region. In every aspect, Post Road Carpet One Acton will satisfy whatever requirements you have. 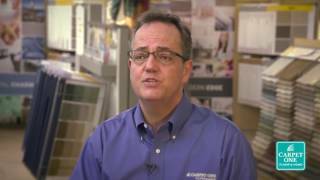 Post Road Carpet One is truly proud to be part of Carpet One, North America's largest retailer of floor covering. As a result of our association with Carpet One, you can be sure that we will continue to provide you, our customer, with service excellence and quality.